Very few plants are not suited for container gardens. Containers allow gardeners more control of soil, moisture, temperature and location. Growing vegetables in containers continues to be more popular each year for smaller spaces and convenience. Properly managed vegetables grown in containers can more than double the production of those in raised beds, and redouble others in ground-level gardens. But container gardening requires proper management for maximum production. Containers are available in many sizes, shapes and colors. Gardeners may prefer them in limited space, for super production, flexibility of location, of convenience or their attractiveness. Some vegetables are adaptable to be grown each spring, summer, autumn - and winter in certain areas. Containers for vegetables may be purchased, built or created from half-barrels, baskets, boxes, buckets, sacks, tubs, tanks and other items. The most efficient containers have a water reservoir in the bottom with a wick up into the potting mix, an overflow hole and a cover over the potting mix to reduce evaporation. They do not require additional water as often as other types of containers. 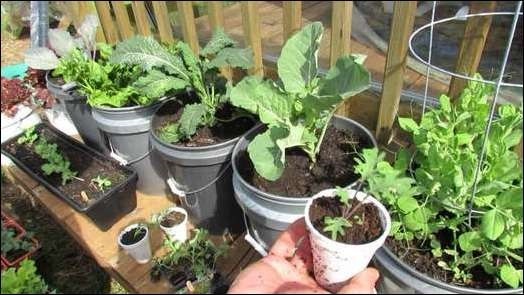 If other containers or structures are the proper size and have drainage, they may be used for growing vegetables. Types of materials vary from metal to organic, synthetic, wood and others. When the ground is above 85 degrees, the containers should be placed upon a thick pad of grass clippings, on a frame up to 2 feet high, on brackets, hung from beams or elevated in some other fashion. Containers should be one gallon for beets, carrots, Swiss chard, lettuce onions and radishes. Use a two-gallon container for beans, mustard and turnips; a three-gallon container is necessary for peppers; and five gallons or more for larger vegetable plants, according to the size of the expected mature root system. Soils for container plants must have different properties than those in the yard. The potting mix has a much greater effect on growth and production than the type of container. Top-quality potting mix is best and may be purchased from a local garden center or mixed according to a successful formula. The potting mix should hold moisture and nutrients, yet have suitable drainage; be disease- and weed-free, be lightweight and not contain any yard soil. It should be soaked before setting any plants or seeds. 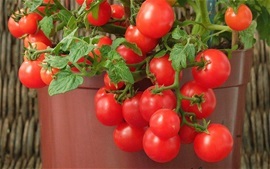 Small- to medium-size mature vegetable plants are easier to grow in containers. Vine type plants require complete support. Gardeners should select vegetables and varieties suitable for the area they live in. Most seedlings should be set after they develop their first two or three true leaves. They should be handled by their root-ball to retain root-soil contact. • Use water-soluble fertilizers to avoid accumulation of salts in the container. Apply the fertilizers in each watering during the peak-growing season. If granular or pelleted fertilizer is applied, sufficient water should be applied each week to flush out the salts. • Rainwater is the best source of moisture. • Improper watering symptoms: When leaves turn yellow and fall off, the plant needed more water several days before that occurred. When the edges of the leaves become brown, the plants were over-watered. • If the container is too large, it is easy to over-water. Drinking alcohol during pregnancy increases the risk the baby could have myriad problems. In an effort to once and for all put a rest to any debate about drinking during pregnancy, the American Academy of Pediatrics has put out a clear message: Don't do it. Ever. At all. Not even a tiny bit. "No amount of alcohol should be considered safe to drink during any trimester of pregnancy," the group wrote. The group released a report Monday identifying prenatal exposure to alcohol as the leading preventable cause of birth defects, as well as cognitive problems later in life. Health authorities in nearly every other country also advise pregnant women unequivocally not to drink, according to the International Alliance for Responsible Drinking. Italy and the United Kingdom are two exceptions. While authorities there instruct pregnant women not to drink, they say if women do choose to imbibe, they should limit it to about one drink, once or twice a week. In the United States, the ACOG and the Centers for Disease Control and Prevention also advise pregnant women to abstain from alcohol. A study cited by the pediatricians' group found the risk of having a baby with growth retardation goes up even when a woman has just one alcoholic drink a day. "The research suggests that the smartest choice for women who are pregnant is to just abstain from alcohol completely," said Dr. J. F. Williams, one of the leading authors of the report from the American Academy of Pediatrics. 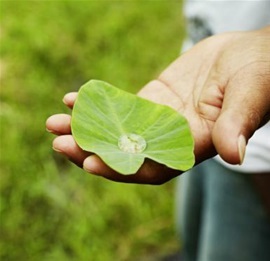 Ever Wondered Whether or Not it's Safe to Drink Rain Water? Have you ever wondered whether or not it's safe to drink rain water? The short answer is: sometimes. Here's a look at when it's not safe to drink rain water, when you can drink it, and what you can do to make it safer for human consumption. Rain passes through the atmosphere before falling to the ground, so it can pick up any contaminants in the air. You don't want to drink rain from hot radioactive sites, like Chernobyl or around Fukushima. It's not a great idea to drink rain water falling near chemical plants or near the plumes of power plants, paper mills, etc. Don't drink rain water that has run off of plants or buildings because you could pick up toxic chemicals from these surfaces. Similarly, don't collect rain water from puddles or into dirty containers. Most rain water is safe to drink. Actually, rain water is the water supply for much of the world's population. The levels of pollution, pollen, mold, and other contaminants are low -- possibly lower than your public drinking water supply. Keep in mind, rain does pick up low levels of bacteria as well as dust and occasional insect parts, so you may want to treat rain water before drinking it. Two key steps you can take to improve the quality of rain water are to boil it and filter it. Boiling the water will kill off pathogens. Filtration, such as through a home water filtration pitcher, will remove chemicals, dust, pollen, mold, and other contaminants. The other important consideration is how you collect the rain water. You can collect rain water directly from the sky into a clean bucket or bowl. Ideally, use a disinfected container or one that was run through a dishwasher. Let the rain water sit for at least an hour so heavy particulates can settle to the bottom. Alternatively, you can run the water through a coffee filter to remove debris. Although it isn't necessary, refrigerating the rain water will retard the growth of most microorganisms it could contain. Most rain water is naturally acidic, with an average pH around 5.6, from the interaction between water and carbon dioxide in air. This is not dangerous. In fact, drinking water rarely has a neutral pH because it contains dissolved minerals. Approved public water could be acidic, neutral, or basic, depending on the source of the water. To put the pH into perspective, coffee made with neutral water has a pH around 5. Orange juice has a pH closer to 4. Truly acidic rain that you would avoid drinking might fall around an active volcano. Otherwise, acid rain isn't a serious consideration. For those with sedentary jobs, these portable pedal machines may be a useful tool in the fight against obesity (from gluttony -TCW), according to a small study published in the British Journal of Sports Medicine. "Evidence demonstrating the drastic health consequences of sitting idle for two to three hours at a time is growing considerably," said lead author Lucas Carr, an expert in the sport & excerise educational field. "The idea for this device is to simply pedal at your chosen intensity to mitigate these negative health consequences," he said. The researchers asked 18 volunteers, most of them overweight and female, to try a specially designed pedal exercise machine at their desks for four weeks. The volunteers used their computers to monitor their activity and get real-time feedback on pedal speed, distance covered and how many calories they burned. At the end of the four weeks, the volunteers overwhelmingly said they'd use a machine if they could, and that it didn't affect their productivity or work quality. They also found it was easy to use and an alternative exercise option during bad weather. Just 23 minutes of pedaling could boost health if done regularly, the authors say. The mini exercise bike could be a more practical alternative to the treadmill desk which has been shown to reduce obesity. The one used in the study is smaller, portable, quiet, less costly and connects directly to the computer. The machine's setup depends on the person and the office environment, said Carr. When he uses one, he fits it under his desk and pedals while he's on the phone, reading, checking email or surfing the Internet. Some participants in the study set the trainer up next to their desk and took a designated activity break from their computer. Carr said he regularly pedals 20 to 30 minutes on most days. "I try to get some time in over lunch and right before I head home," he said. "I recommend the end of the day for those that pedal at an intensity that makes them sweat." Still, you don't have to have a pedal machine to be active at work, he said. "Take mini walks around the halls at your work every 45 minutes (200 steps in 2 minutes is something I do while working). You can do chair stands (stand up and sit down 10 to 15 times in a row) every 45 minutes. Even a small wound can alter the way your body metabolizes nutrients. Without proper nutrition, the whole process of wound healing can be negatively impacted. Your diet during recovery plays a critical role in how fast your wound heals, how strong the wound tissue becomes, the duration of the recovery period and how well your body fights off infection A poor diet can turn a normal wound into a chronic wound that never seems to be get better. Even a small wound can alter the way your body metabolizes nutrients. As the body attempts to heal itself from a wound, it will create stress hormones and divert extra resources – carbohydrates, fats, proteins, antioxidants and more – to the creation of new tissue. This is referred to as the catabolic phase of healing. Your metabolism essentially speeds up during this process. If the catabolic phase drags on too long, protein energy malnutrition (PEM) can set in. This begins a negative cycle which slows wound healing and deteriorates your health. Your body sends extra protein to deal with the wound and, as a consequence, other important body systems and organs don't receive enough protein. This leads to reduced muscle mass and delayed wound healing. 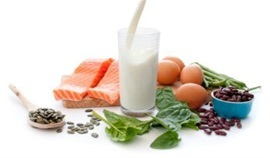 Protein is the most important aspect of your diet when healing from a wound. Energy (calories from carbohydrates and fats), amino acids, antioxidants and minerals (zinc) are also important. Your dietary needs will be calculated on an individual basis, and your doctor or nutritionist may adjust the levels of each nutrient to facilitate healing. The following guidelines are only generalizations, but will give you an idea of what your diet should include. Protein helps repair the damaged tissue from your wound. You'll want to take in more protein than usual to help the healing process. This means 2 to 3 servings of protein a day, with each serving containing at least 2 to 3 ounces of meat (1 cup of beans or 2 tablespoons of peanut butter are alternatives). Your doctor will want to monitor your diet closely. If you don't take in enough calories, the body might convert more of your body's protein to energy instead of healing. Fats from dairy products are essential for wound healing. Cell membranes are created with the use of fatty acids, and you'll need to take in extra sources of these to maintain healing. Cooking oils and meats are also a good source of fats. One cup of milk or yogurt or an ounce of cheese would be good examples of how much you should include in your daily diet during the healing process. Taking in plenty of carbohydrates is essential, to prevent the body from using other nutrients and protein for energy. Cereals, breads, rice and pasta are good sources of energy, and should be included in your daily diet. Vitamin C is an important antioxidant for wound healing. It increases the strength of the wound as it heals, and it helps with the creation of collagen in the skin. Vitamin C is also important in the creation of new blood vessels, and it helps with iron absorption. Citrus fruits and leafy green vegetables are great sources of vitamin C. You should be taking in up to 200 mg of vitamin C daily, which is fairly easy with at least one serving of these foods per day. Vitamin A is another crucial antioxidant. The body needs additional vitamin A to help with wound healing. It can help fight off infection, and aids in controlling the inflammatory response. Vitamin A levels have to be monitored closely, because toxicity can occur if too much is consumed. Red fruits and vegetables, eggs, fish and dark green vegetables are all good sources of vitamin A.
Zinc helps the body synthesize proteins and develop collagen, so it is an important mineral for wound healing. As long as you are taking in sufficient amounts of protein from meats, you should be getting enough zinc in your diet. The level recommended by your doctor will vary from 15 to 50 mg per day. Take extra care to follow your physician's dietary advice, especially if it is a prescribed diet. Diabetic patients will have additional considerations when devising a nutritional plan with their doctor. A final note is needed to emphasize the importance of hydration for wound healing. Drink plenty of water and fluids throughout the healing process to help facilitate proper circulation and detoxification. Tips for outdoor activity during high temperatures. The official first day of summer starts on Sunday, June 21. 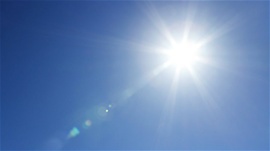 As you head outdoors, it's important to be prepared for hot weather, because heat is one of the leading weather-related killers in the United States, results in hundreds of deaths each year and even more heat-related illnesses. This can be avoided with easy precautions. Limit your time outdoors in the heat of the day, which is usually the late afternoon and early evening during the summer. Dress for summer. Wear modest lightweight, light-colored clothing to reflect heat and sunlight. Wear sunscreen because excessive sun exposure can lead to skin cancer. Not being prepared can lead to heat stroke - a very serious condition that can kill you if not treated. Some of the signs of heat stroke are: confusion, a throbbing headache, nausea, a rapid and strong pulse and a body temperature above 103 degrees. If you or someone around you is showing these signs, call 911 immediately. In the meantime, move the victim into air conditioning or shade, reduce their body temperature with cool cloth and do not give the person fluids. Their body is just too stressed to process the fluids, and they may choke if they pass out. The most vulnerable are children and the elderly, so it's extremely important to show them special care and attention during the hot summer months. Pecans are rich in polyphenol antioxidants, specifically flavonoids, which have been tied to heart benefits. In fact, the nuts have more than twice the flavonoid content found in almonds, cashews, and pistachios, and seven times the amount in walnuts. Compared to other nuts, pecans also have the highest levels of gamma-tocopherols, which is a form of vitamin E and another key antioxidant. Two separate studies have suggested that the increase in gamma-tocopherols levels from eating a pecan-rich diet helps prevent the oxidation of cholesterol. Oxidized cholesterol is a risk factor for heart disease. Pecans are an excellent source of thiamin and zinc, as well as manganese and copper. One ounce (about 19 halves) supplies 60% of the Daily Value (DV) for manganese, and 40% of the DV for copper. Manganese helps regulate blood sugar, and is needed for healthy bones. This mineral also helps form colllagen which gives skin its firmness and elasticity. Copper aids in iron absorption, and works with iron to help the body form red blood cells. It also supports immunity, and helps keep blood vessels, nerves, and bones healthy. You can simply eat a handful, or pair them with fruit (pecans go well with apples, pears, grapes, etc.). In the morning, add them to hot or cold cereal, oatmeal, yogurt, or muesli. Exercising daily is so important to the health of your heart that even exercise viewed as not intense (such as daily walking) can go a long way to keeping a healthy heart. If you want a healthy heart, you need to add a good dose of physical activity and daily exercise to your schedule. In fact, the lack of daily exercise is what leads to the development of coronary artery disease, as well as other heart problems. Coronary artery disease is typified by the buildup of calcium, cholesterol and other fatty substances in the inner lining of the arteries, which provide the flow of blood to your heart muscle. Exercising daily is so important to the well being and health of your heart that even exercise viewed as not intense (such as daily walking) can go a long way to keeping a healthy heart. In short, daily exercise is good for your heart because it significantly helps to lower your risk of both primary as well as secondary cardiovascular disease. The more daily exercise you fit into your schedule on a regular basis, the more it increases your level of fitness and, as a result, the more your capacity for daily exercising is expanded. If you have had trouble with diabetes, being obese or even any abnormalities in your blood lipid levels, daily exercising will go a long way towards managing these conditions with more success. Likewise, if you have experienced problems with high blood pressure, then simply exercising daily will have a positive effect on your aim to lower your blood pressure. If you are serious about providing your heart with real health benefits, then do some either moderate or intense aerobic exercises for at least 30 minutes, every day of the week. You must also get yourself to a level of exertion where you are doing the exercises at 50 to 85 percent of your maximum heart rate. Don't feel like you have to be weighed down by keeping an inflexible schedule. If you can't fit in the 30 minute recommendation all in one session, you can get your exercise in by way of installments. For instance, split up your exercise session into two 15-minute sessions at different times of the day if you find that works more conveniently based on your own schedule. The important lesson is that you need regular activity to benefit your heart, even if you break up your activity sessions. Some of the simplest exercises can (... really) help your heart. Stair climbing, jogging, fast-paced walking, aerobic exercises, hiking, rowing, swimming, bicycling and even sports like soccer and basketball work, especially if you run constantly during the sport. To get the most benefits for your heart, be sure to exercise at a rate that exceeds at least 50 percent of your maximum heart rate, or your average exercise capacity. Be sure not to exert yourself excessively. Free radicals are unavoidable and everywhere! They become especially dangerous when they reach the inner structure of our cells, which affects our DNA, cell functions and cell structure. When it comes to cancer, you have more control than you think. Your proactive choices can really make a huge difference, and just by including a few special foods in your diet, you can take advantage of their natural cancer fighting properties. To understand cancer prevention and truly take advantage of foods that are loaded with antioxidants, it’s important to understand their relationship to the illness itself. Cancer causing free radicals are atoms with an uneven number of electrons that form when oxygen teams up with these misfits. They are unavoidable and everywhere! They become especially dangerous when they reach the inner structure of our cells, which affects our DNA, cell functions and cell structure. When a cell is affected by a free radical, it no longer can perform its function and dies. This all can cause cells to act abnormally. Cancer itself is essentially the rapid, out-of-control multiplication of rancid cells in a specific part of the body. Simply put? 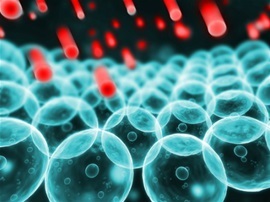 Free radicals cause cell reactions that can lead to cancer. Antioxidants are our knight-in-shining armor molecules. Made up of vitamins and phytochemicals, these are our body’s natural defensive line against free radicals. Antioxidants neutralize and interrupt free radicals effects on our cells – before any major damage occurs. Now that we have the science straight, it’s time to get our diets in line! One of the best weapons against cancer is healthy foods. Fruits, vegetables, whole grains, even teas and spices have the highest supply of antioxidants available. Before you dash off to the market though, remember that some healthy foods just happen to outshine a few of the others. Blueberries – Brimming with vitamins, antioxidants – and proven results. Don’t forget other berries either – strawberries, raspberries, blackberries all have highest antioxidant levels around! Dried blueberries and other dried fruit are a great choice too. Why? Since they contain less water, there’s actually more antioxidants in them. Spinach – Spinach is loaded with one particular cancer fighter, beta-carotene. That actual number weighs in at about 3,600 IU per cup, which puts spinach at the top of the list. It protects from all kinds of cancer. In addition, this superfood protects against high cholesterol and keeps your bone density intact due to its high levels of vitamin K, A, C and calcium. And that’s just the summary! Broccoli – Broccoli is one of the all-time, best foods that you can consume for cancer prevention. Broccoli contains enough vitamin C to put oranges and tangerines to shame. In addition to its high calcium levels, broccoli contains Sulforaphane, an antioxidant that is proven to decrease your chances of getting many types of cancer. Green tea fights and protects against nearly every kind of cancer known to man. 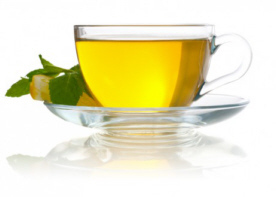 Green tea – Drink green tea everyday. Green tea fights and protects against nearly every kind of cancer known to man. It contains catechins, antioxidants that are even more potent that heavyweight vitamins E and C.
Many studies have shown that green tea may have the ability to accelerate death in cancer cells – without harming the healthy ones surrounding it. Celery – This is an excellent choice for fighting free radicals. Celery is full of vitamin C and K. potassium, fiber and manganese. It has proven anti-inflammatory, antifungal and antimicrobial properties. It includes apigenin, coumarin and polyacetylenes – as well as perillyl alcohol, a substance that has stimulates the body’s anti-tumor fighting properties. Seaweed is one of the most powerful foods you can add to your diet. Seaweed - Seaweed is proven highly effective! 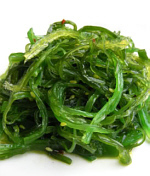 Edible seaweed is high in iron, potassium and fiber. It is also a great source of carotenoids and unique compounds that have been found to be effective in various types of cancer cells. Pomegranate – Pomegranate has anti-inflammatory properties proven to help in rheumatoid arthritis cases. They are also great to help heart disease and lower cholesterol levels, and fight agains, pancreatic, and lung cancer. By choosing foods that are the highest in antioxidants, you can help yourself to steer towards a cancer-free future and feel much better (healthier) while you do it. I recommend a gravity type water filter like AquaRain. You can get a bag filter with it to filter directly from a river first if necessary. I use it everyday. Thanks for your article on "home grown vegetables"! I am testing the most suitable ones for my region. Our Lady of Good Health, pray for us! A new article was posted in our "Health & Nutrition" section, on a new type of exercise bikes, one can ride while they are sitting in front of a computer, etc. 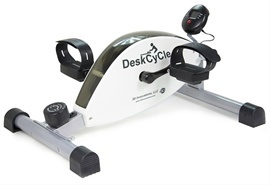 I purchased one of the "DeskCycle" Desk Exercise Bike Pedal Exerciser machines. I recommend it. Thank you for posting this excellent source of Info of how to fight various types of cancers and how to stay healthy...God Bless. I also would like an enlargement of chart as when I enlarge it, the words are not readable. Update: New article: "7 Special Foods that Help you Prevent and Fight Cancer" posted on the Health & Nutrition page. 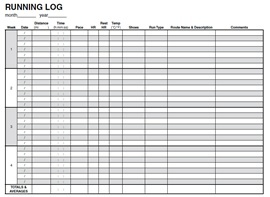 Dear Sirs, hi, can you include a larger printable version of the runing log pictured please? Hi. If you click the image of the chart it will enlarge it. 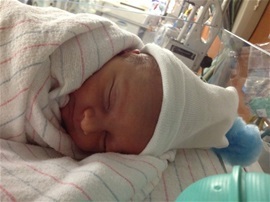 We will post a link to for a bigger pic, as time permits.